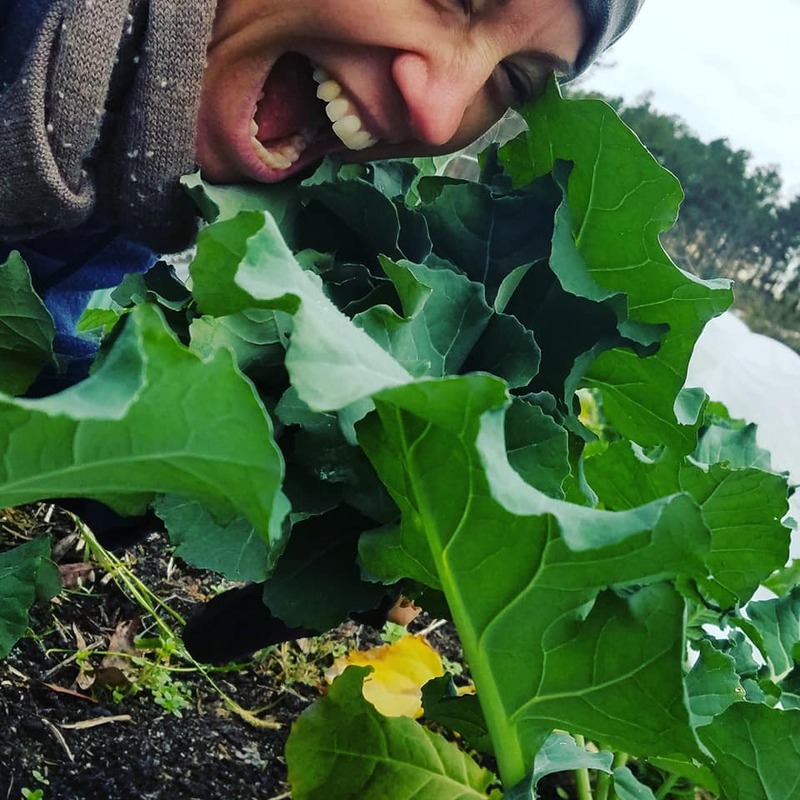 This is how we feel about our broccoli greens right now….They are so good! As we approach the Winter Solstice, daylight hours continue to decrease. There are fewer and fewer vegetables remaining in our fields, and we are grateful for our hoophouses. This week saw our first ever Winter Farm Share and our first ever *customizable* Farm Share through the new software called Harvie. We saw members swapping out items for things they wanted for their menus this week, adding on extra veggies, adding on loaves of bread, and celebrating that setting their preferences worked! (“I indicated that I never want Turnips, and I’m glad to not get them! I’ve tried to love them, but they just aren’t my thing!”) This new system is slick and if you’re not using it yet, we think you will love it. 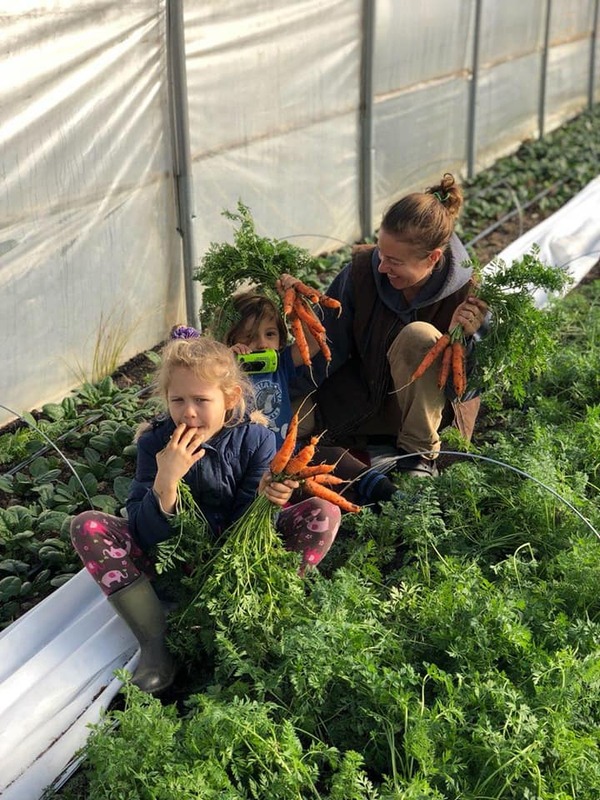 Our Winter Farm Share is sold out, but there are shares available for our main season which runs May through November. Read details here and please sign up to join us in 2019! We will be at the Farmer’s Market @ St. Stephen’s tomorrow and the next two Saturdays. Then we will close up shop for a couple of weeks of holiday and family time. After December 22, we will be back with a vegetable update the week of January 7th. Broccoli Greens, Carrots, Chinese (Napa) Cabbage, Dill, Kale, Parsley, Radishes, Lettuce Mix, Microgreens, Pea Shoots…and our Organic Hearth Baked Bread (Baguettes, Herb, Whole Rye, Raisin, & Seed loaves for this weekend).